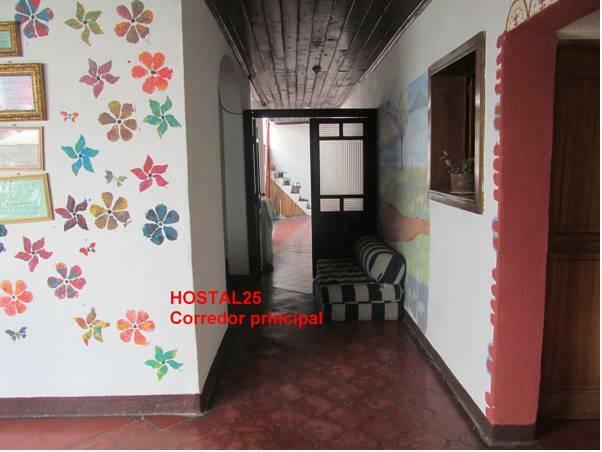 ﻿ Best Price on Hostal 25 in Antigua Guatemala + Reviews! Hostal 25 is a comfortable property that offers free Wi-Fi access, terraces and an atrium with hammocks. The front desk operates 24 hours a day and it also has a garden. The rooms at this hostel may be private or shared. The dormitories’ beds will be assigned by gender. The bathrooms have showers and may be shared or private. Some unites might include desks, cable TV’s and wardrobes. Within a 5-minute walk from Hostal 25 guests will reach restaurants and bars. There is a supermarket also 5 minutes’ walk away. The property has a common use kitchen and a TV lounge. The Cerro de la Cruz Mountain Site is 700 metres from Hostal 25, the bus station is 2 minutes’ drive away and 500 metres from Central Park. The art crafts market is 1 km from Hostal 25.